I hate to admit it, but even with a high-profile subject, if a person’s camp is particularly hard to get in touch with (i.e doesn’t return calls/emails, despite previously agreeing to a photo shoot) I get frustrated and start to make assumptions about the subject’s character. Of course this is partially due to the fact that I never want my client to think that I’m not on the ball. That said, scheduling my shoot for Minnesota Magazine, with former NFL safety and businessman, Jack Brewer, was anything but easy. In fact, the photo editor and I were just about to give up, when I finally received an email from his assistant letting me know that he would be available the following morning. When I arrived at Brewer’s home on the morning of the shoot, based on the scheduling difficulties, I expected that he would have little time for me. Instead, after being invited in by his fiancé, I was warmly greeted by Jack in the kitchen. “I have a conference call at 10:30”, he said, “but other than that I am all yours, take your time”. 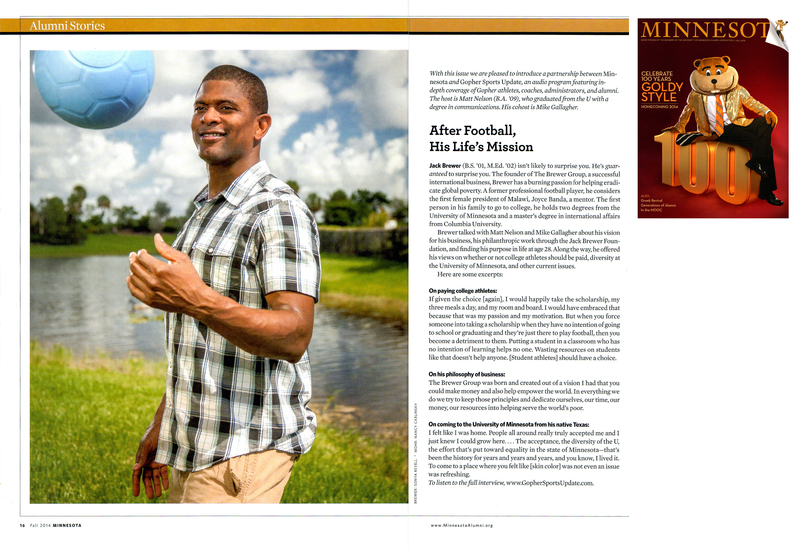 I knew the magazine article would focus on Brewer’s work post NFL, especially his philanthropic efforts with The Jack Brewer Foundation, (they target childhood poverty). Therefore I wanted to try to include children somewhere in the shoot. Since Jack had three children of his own, I asked if they could be part of the shoot. He informed me that they were home and ready to do whatever was needed. His children were very polite, friendly and intelligent, I was immediately impressed. In discussing the theme of the shoot, I asked Brewer if he had any props we might be able to use “perhaps an old football”, I suggested. To my surprise, he offered a soccer ball instead. “I actually had this made specifically for my charity” he explained, “it’s virtually indestructible- you can run over it with a car and it still won’t deflate. We have given out over half a million of these blue soccer balls world-wide. I actually use this exact one in my talks. 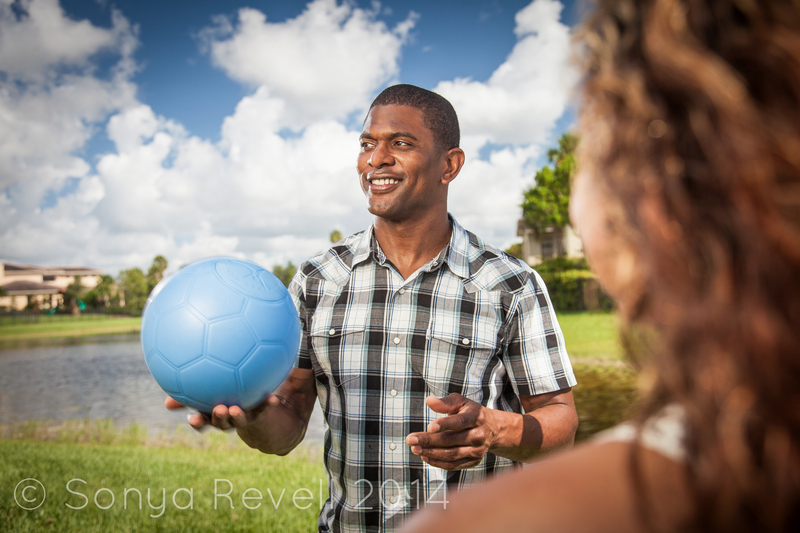 I use a soccer ball because soccer (or football as it is called in most places) is universal.” “Perfect!”, I said.